This AstroBUB Pullover Hoodie is a Men's Standard Fit. Women should order a size down. This premium hoodie has been handmade by a highly skilled American craftsman in sunny California. Each panel is individually cut, then sewn together to ensure a flawless graphic and a comfortable fit. 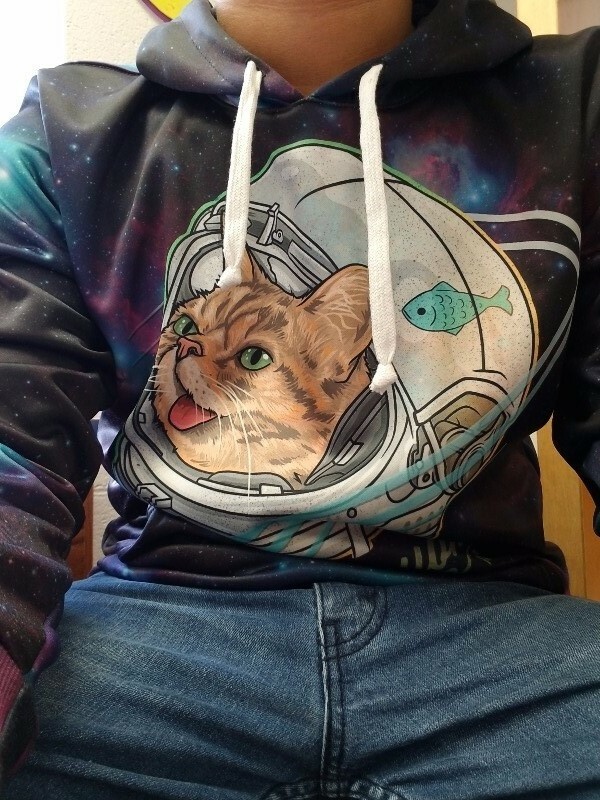 AstroBUB Pullover Hoodie has a rating of 5 stars based on 1 reviews.